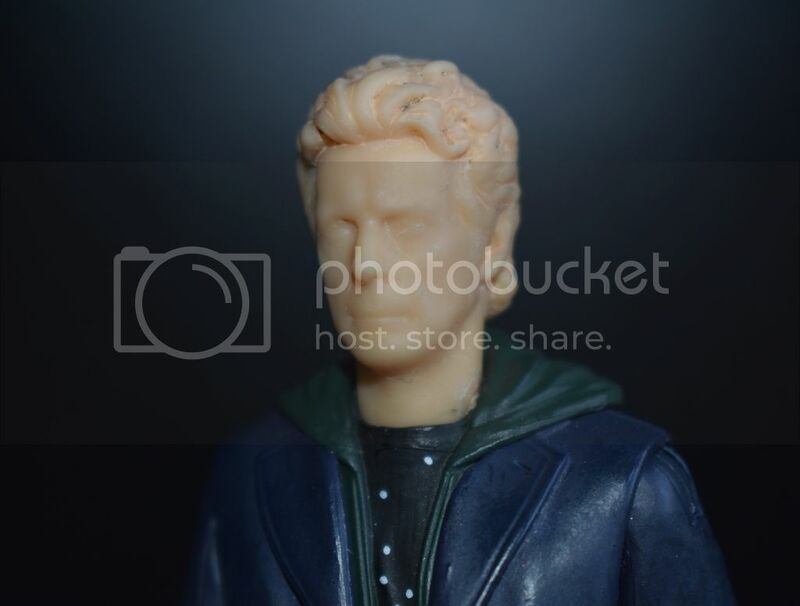 I removed the factory paint from a 12th Doctor head. I know a lot of people were thinking the soft detailing was due to thick paint, but it is the sculpt itself which is actually very soft. I hope this is of interest. Please check out my Instagram for more regular uploads! That’s is quite interesting, it must be newer methods of production, machinery or technique who knows, that lead to this. Probably just cheaper to produce. It's a shame really, I saw some pictures of the digital sculpt and the details were insanely intricate. Wish they could output them like that. I wonder if they knew the paint would obscure the detail so they just manufactured it with that in mind? I know they're capable of higher-detail sculpts. I actually think the face paintwork on the recent B&M 12th Doctor figure is better than the Season 9 variants that were released in 2016. This year's B&M 12th Doctor figure seems to have a lighter layer of paint, which shows a bit more sculpt detail. Also, the eyes are not painted such a vibrant blue (which makes it appear less cartoon-ish), plus the hair is a more accurate tone of grey. The s8 capaldi figure looks so sad to me, I call mine sad capaldi and I just want to give him a hug and cheer him up. Deborah J wrote: The s8 capaldi figure looks so sad to me, I call mine sad capaldi and I just want to give him a hug and cheer him up. 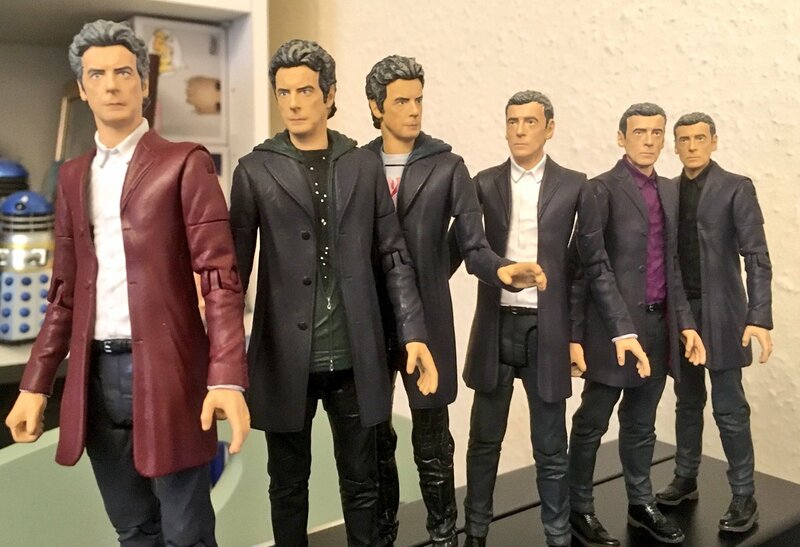 The figure is sad because it's just realized it's not Capaldi, and it can't figure out if it's Craig Ferguson, or Humphrey Bogart with a bad haircut. skifflebits wrote: The figure is sad because it's just realized it's not Capaldi, and it can't figure out if it's Craig Ferguson, or Humphrey Bogart with a bad haircut. Or a cross between a young DS Don Beech and DI Neil Manson from The Bill. The only character from the bill I remember is reg hollis, because my mum fancied him. A woman with unusual tastes, I don't think that would be unfair to say.